In this TED Talk, Kevin Allocca explains why some videos go viral. The attached document included two articles from TIME magazine that explain the financial side of viral videos (you’re not going to get rich) and the attempt by corporations to create viral videos. How might the characters from one of the texts we’ve studied in class end up in a viral video? Demonstrate in your answer your understanding of the characters you select and your understanding of the factors contributing to a video going viral on YouTube. Research three viral videos. How well do they demonstrate the criteria Kevin Allocca outlined for the factors that cause videos to go viral? Create a presentation that applies Kevin Allocca’s analysis to your chosen videos. Which of the two article is a better example of a well organized essay? Evaluate the organizational structures of the two articles and explain why one is superior to the other. Demonstrate your understanding of each author’s purpose and intended audience. 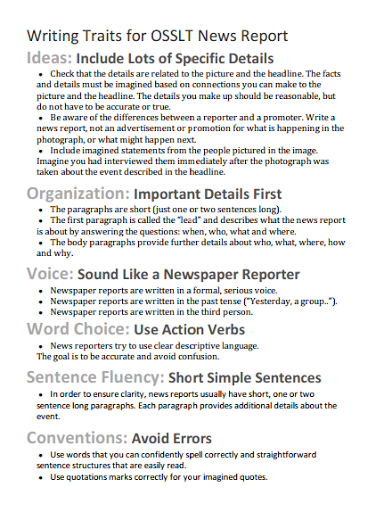 Many students misunderstand the OSSLT’s news report task. Having had limited experience with actual newspapers, students default to the model of news reporting they’re familiar with: the live report. This leads to many news reports that are told in the present tense and in the first person. 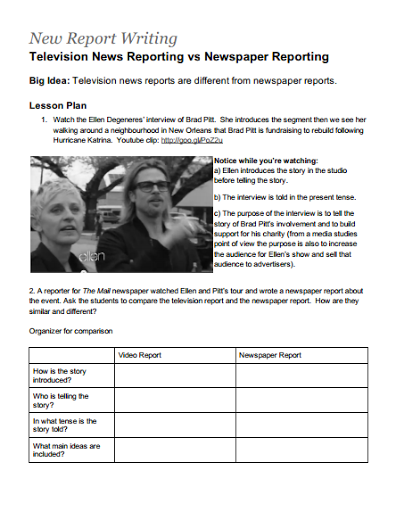 The lesson plan links to an in-class interview assignment and a handout describing the OSSLT news report using writing traits language.